Kyle O'Quinn (9) guards Victor Oladipo in a February game. Kyle O’Quinn reportedly is joining the Indiana Pacers. 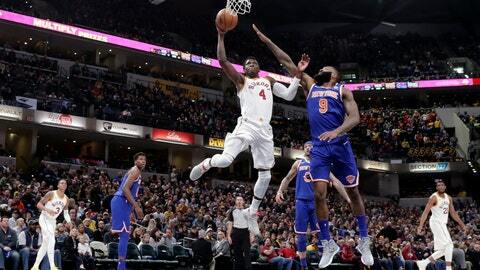 O’Quinn was with the New York Knicks last season. He becomes the third free agent to pick Indiana this summer, joining Doug McDermott and Tyreke Evans.